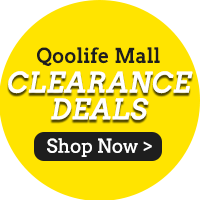 「Qoolife Mall」- [Chip Seng Impex] Kangaroo - Australian Premium Calrose Rice 2.5KG/5KG ! QUALITY RICE! Chip Seng Impex[Chip Seng Impex] Kangaroo - Australian Premium Calrose Rice 2.5KG/5KG ! QUALITY RICE! First time trying this brand. Not bad. Combined with other items to get free delivery. 👍🏻 to have this delivered to the doorsteps. Fast delivery in box. Cheaper than supermarket. Good tastes and good price. Will buy again. When are you going to replenish the 5kg rice? Noted. So when can I order? Hi.. if I order items and this rice. Today. When can I receive the order ? Thks urgent for rice. Thks. You should be able to receive your order by tommorow or latest by monday. Hi, wanted to apply for the discount coupon but required a password. What's the password? Thanks. Hi, It was advertised as $6.90 sale today but why still $9.90? The price was at 6.90 at pm.